Inside Gaming was a group of YouTubers that worked for Machinima up until January 2015. That month, the group left Machinima to form a new channel under the Rooster Teeth brand called Funhaus. While they were at Machinima, the group was known to produce daily videos that featured gameplay from a wide variety of video games including GTA V, The Sims, and others. The group also produced comedy music videos such as a fake musical based on Assasin’s Creed. The music video “We Love Video Games” serves as an ode to video games and the culture that surrounds them, while also serving as a satire of the trend of paid teen music videos of the early 2000’s, such as Rebecca Black’s “Friday”. Bruce Greene of Inside Gaming. The song is an up tempo pop song that mimics the sounds of the generic pop tunes you can find on YouTube. The lyrics contain references to some of the biggest video games of all time, and to some of Inside Gaming’s most popular videos and jokes. The chorus is super repetitive and annoying, but that is its intended purpose as this is satire of Rebecca Black’s “Friday” which many consider to be one of the worst songs of all time. However, unlike Black’s song, this song is actually enjoyable because it’s not meant to be taken seriously. The fact that it’s a joke makes it a great piece of satire and fun. 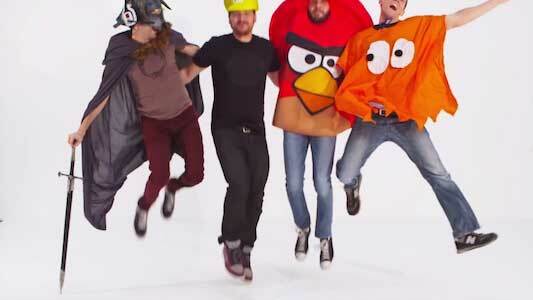 The gang dressed as a Skyrim warrior, Wario, an Angry Bird, and a Pacman ghost. 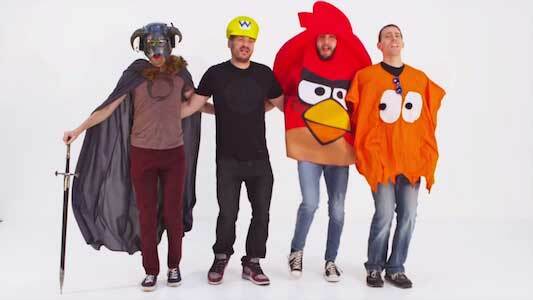 The video contains the main cast of Inside Gaming: Adam Kovic, Bruce Greene, James Willems, and Joel Rubin. They are overly enthusiastic and emotional about their video games. There are a lot of video game references and Easter eggs in the video which makes it a treat to watch for any gaming fan. The guys eventually find themselves at a party that features some of gaming’s most recognizable characters such as Lara Croft, Ryu, Sub-Zero, Chun-Lee, and many more. 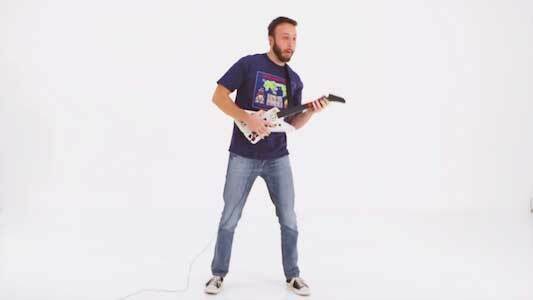 Bruce Greene wears a pair of black chucks in the video which is what he wears on a daily basis in Inside Gaming/Funhaus videos. For fans of video games and the fandom they’ve spawned, this video from one of Youtube’s best gaming channels is definitely a must watch. The main cast of Inside Gaming. Get yourself a new pair of chucks for gaming by clicking on the links below.